Prof Colette Cowan was appointed Chief Executive Officer of UL Hospitals Group in November 2014 and was recently reappointed as Chief Executive Officer for a further 5 years. She leads an organisation providing Acute Health Services to some 400,000 people in the Mid-West and with a workforce of approximately 4000 staff spread across six hospitals in Limerick, Clare and North Tipperary. Colette brings to the role over 30 years of experience in the Health Services. She was appointed Director of Nursing in Nenagh, in 2000. 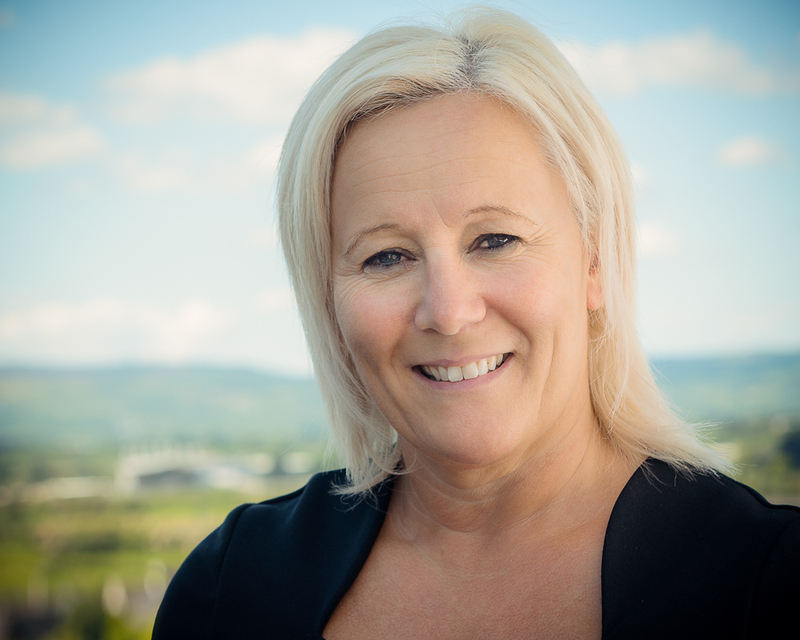 In March 2012, she was appointed Director of Nursing at Galway University Hospital before becoming the first Chief Director of Nursing and Midwifery with the West North West Hospitals Group (now Saolta University Healthcare Group) eight months later. Since her appointment as Chief Executive Officer of UL Hospitals Group, Colette has been leading the reform agenda at UL Hospitals Group underpinned by a Strategic Plan that is focused on four pillars of Clinical Transformation, Digital Health, Collaborations and Alliances and Education, Research and Innovation. She has led the Group in developing a new Dialysis Unit, which opened at University Hospital Limerick in 2016 and has overseen the opening of the new Emergency Department as part of the same €25 million project in 2017. Other capital projects completed during her term of office have included the Leben Building (a six story building comprising of a 24-bed Neurology/Stroke Unit, a nine-bedded Cystic Fibrosis Adult Inpatient Unit, an Outpatient Cystic Fibrosis Unit, Dermatology Unit and Symptomatic Breast Unit), a Clinical Education and Research Centre (a joint development with University of Limerick) at the University Hospital Limerick and a new Clinical Support Recovery Unit at Nenagh Hospital. She has opened an enhanced Vascular Lab, new Nuclear Medicine Department, new Vascular Hybrid Theatre and refurbished and developed an Acute Surgical Assessment Unit in early 2018, as well as a 24/7 Acute Medical Assessment and Surgical Short Stay Unit in 2019. Colette also established an eHealth Division within UL Hospitals Group to progress data analytics. In 2016, the University Hospital Limerick introduced its Robotic Surgery Programme, becoming the first public hospital in the country to provide Colorectal and Renal Urology procedures to public patients on the Da Vinci Xi Dual Console Robot. Gynaecology Robotic Surgery has commenced in 2019. Firmly committed to patient advocacy and empowerment, Colette has established a Patient Experience Council at UL Hospitals Group. Patient-focused initiatives such as #hellomynameis were introduced in 2016, as were a number of important projects around staff health and well-being such as the Group’s Healthy Ireland Implementation Plan. In 2016, Colette decided UL Hospitals Group would be the first hospital group in the country to adopt Values in Action, a project aimed at instilling the six behaviours that focused on the core values of care, compassion, trust and learning throughout the group. – A modular build for a 60 bed block at the University Hospital Limerick to deal with capacity. – New theatres at Croom Hospital are key actions and priorities. – Extension and further development of the Paediatric Unit “the ARK” is a core development required in line with the National Paediatric Model of Care. Pre planning discussions are underway. – The 96 Bedded Block Project will commence by 2022 and the design team has been identified. Colette sits on a number of groups such as the Limerick Public Services Working Together and other task forces at a National level. She has a BA in Public Administration, MSc in Business & Financial Management and is a Qualified Executive Coach. Working with industry stakeholders we exclusively specialise in developing and producing focused events based around stakeholder networks. We are uniquely placed to manage and develop a sustainable and successful template for any companies conference or event.